Wood, especially conifers, quickly loses its unique properties when exposed to sunlight. Therefore, cladding-finished surfaces require immediate varnishing, which perfectly protects the material from the negative influence of the environment. 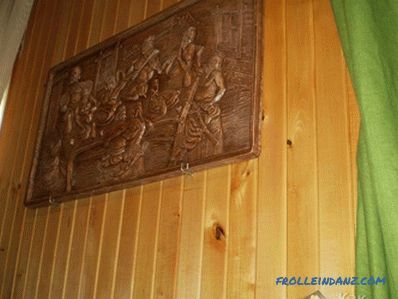 Experts recommend covering the wall paneling with varnish within 5–7 days after completion of the installation work. Properly selected varnish will give the material not only a beautiful appearance. Despite the fact that the tree has an attractive and aesthetic appearance without additional processing, it should be covered with a special compound. Answering the question how to varnish the lining, first of all it is necessary to take into account the protective functions of the coating. What benefits does the coating provide with a special solution to the natural texture of wood? 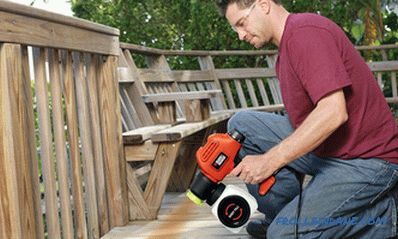 Prevents the appearance of rot and mold. The coating makes the material more resistant to mechanical damage. Wood becomes less susceptible to rapid ignition. After installation, the paneling is usually treated with a penetrating compound. This may be a stain, antiseptic, protective impregnation, linseed oil. After the procedure, the material loses its original appearance. 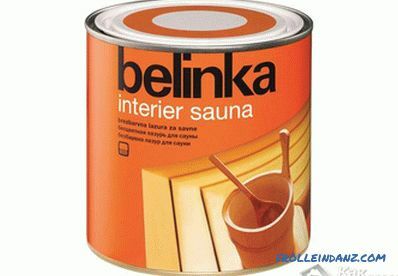 In this case, the lacquer coating significantly refreshes the painted wood and improves the finish. Which lacquer to choose for lining, everyone decides for himself. Clapboard trim not only at home inside and out. 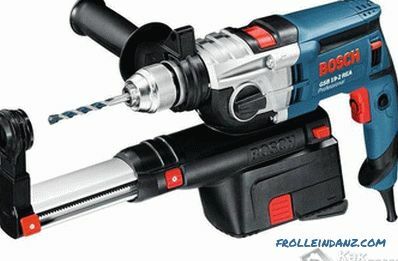 Often it is used for cladding balconies and loggias. Experts often advise to choose yacht varnish for outdoor work. Its main advantages are water resistance, high quality and affordable price. Polyurethane-based yacht formulations dry quickly (less than 5 hours), do not crack, have a high durability of the coating, and are resistant to UV radiation and temperature extremes. A tree covered with such a composition does not yellow over time. Polyurethane varnish perfectly emphasizes the natural pattern of wood. You can buy both glossy and matte version. Alkyd and polyurethane coatings are also suitable for outdoor use, possessing high protective properties. Acrylic lacquers do not allow tree to lose its original color under the influence of sunlight. They are safe to use, diluted with ethers, alcohol, water (depending on the composition). The cost of alkyd varnishes varies within 750 rubles per 1 liter of coverage. The main advantages of alkyd compounds are moisture resistance, resistance of the coating to mechanical damage. But alkyd varnish has a very strong smell and dries for a long time (more than 2 days). Price varnish ranges from 500 rubles. To make the coating dry faster, you can sometimes apply a hardener. Lacquer, made on the basis of polyurethane, has a lot of advantages that allow you to apply it, both for internal and for outdoor work. The coating has a very high moisture resistance, resistance to ultraviolet radiation and chemicals. 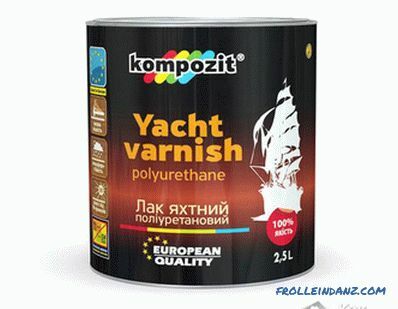 Polyurethane varnish is quite expensive - from 850 rubles per liter. Water-based varnishes are odorless, dry quickly and are environmentally friendly compounds. Used mainly for interior work. 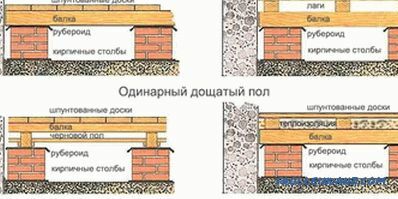 The cost of coating depends on the manufacturer: varnishes made in Russia cost about 250 rubles per liter, imported - from 400 rubles per liter. Apply varnish preferably in two layers. This will strengthen its protective properties. The color of the lacquer chosen for processing the lining does not matter much. Some of them can be tinted, giving the coating the desired shade. Before varnishing the wall panel, she should be given time to dry. 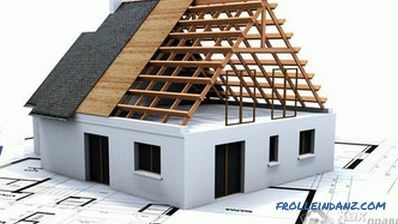 It is best to apply the coating 5–7 days after the lining is completed. The technological process here is quite simple. It is possible to apply a varnish on lining independently. One has only to take into account several recommendations of experts. in addition: stepladder, solvent, gloves. Before applying the composition, the surface should be cleaned by removing excess debris and dust or removing the old coating. Old varnish is perfectly removed by soda. If the lining formed a mold or fungus, it must be treated with a special bleaching solution. Next, the material is subjected to grinding. Work is performed using a grinding machine or manually with emery paper. After all the defects and unevenness of the finish are removed, it is covered with a layer of primer which fills all the pores of the tree. 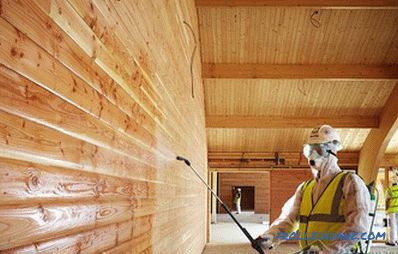 After the primer has dried, an antiseptic composition is applied to the paneling, which increases the service life of the wood. And only after complete drying of the covering layer, the duration of this process is not less than a day, the wood can be varnished. A brush made of natural bristle, more than others, is suitable for working with varnish, because hair does not fall out of it during dyeing. Before starting to paint, the varnish should be thoroughly stirred until a homogeneous mass is obtained, so that the coating layer is uniform and does not have stains. After complete drying of the first layer, the surface is treated with sandpaper. And only then you can apply varnish again. You can cover the coating colorless composition. Lining, covered with two layers of lacquer, performs its functions for a long time and preserves its natural look.